Storytime with the Curator is the perfect opportunity for families looking for a fun and easy way to introduce their young children to art and art history. 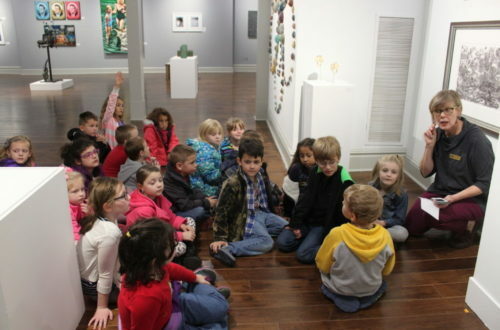 The second and fourth Thursday of each month, join the William King Museum of Art’s curator for a story about art, artists, or one of our exhibits. This is a unique opportunity for young learners to discover the vast and wonderful world of art guided by an expert in the field! This program is free and open to the public. For information call Callie Hietala at (276) 628-5005 ext. 119 or email at chietala@wkmuseum.org.